We briefly rode the new BMC Speedfox while attending the CrankTank Media Summit in Sun Valley, Idaho this spring. BMC North America is settling into their new headquarters in Scotts Valley, a town just outside Santa Cruz, that also is home to Fox Suspension. In August we met up with North American Marketing Manager Ryan Cleek to pick up a Speedfox 01 for a long term review, and have been riding it ever since. The bike retails for $6499 USD, and can be purchased through a BMC retailer. The house branded 760mm BMC bar, stem, and grips, lean a bit on the XC side. 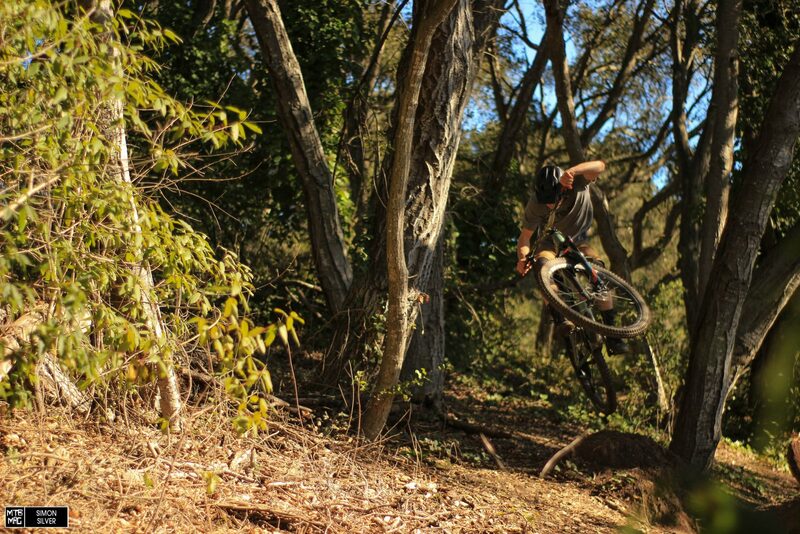 After some time, we eventually swapped to some Fabric 50:01 grips, a Renthal 40mm stem and 785mm bar, and we felt more at home on the bike immediately. 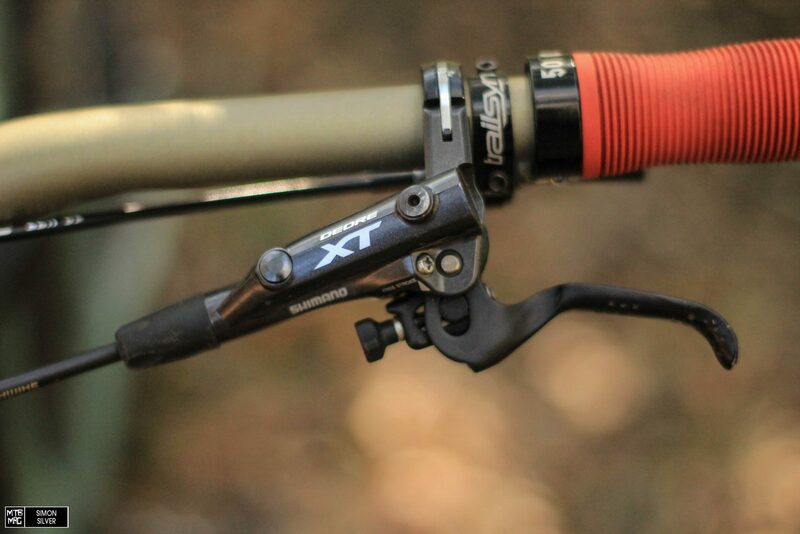 A standout feature of the Speedfox is the Trailsync system which combines two actions in one. Drop the seat post and open the rear 120mm Fox Float DPS Performance Elite Evol, with the push of one button and vice versa. As most of the trails in Santa Cruz are a long pedal up a fire road, followed by a long steep descent, we found Trailsync to make a lot of sense. We never had to remember to un-lock our shock, and weren’t fiddling with locking it out for climbs. 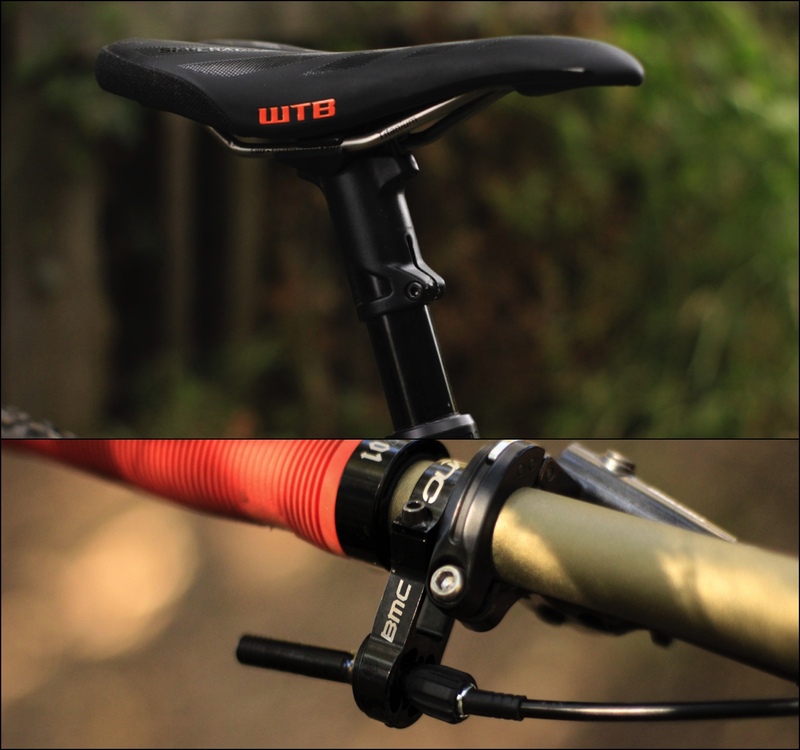 Trailsync is cable-actuated, and the BMC’s seatpost is internally routed. The bike Speedfox 01 model is spec’d with the SRAM Eagle GX Drivetrain, which has proven to be a great option for the needs of most riders. 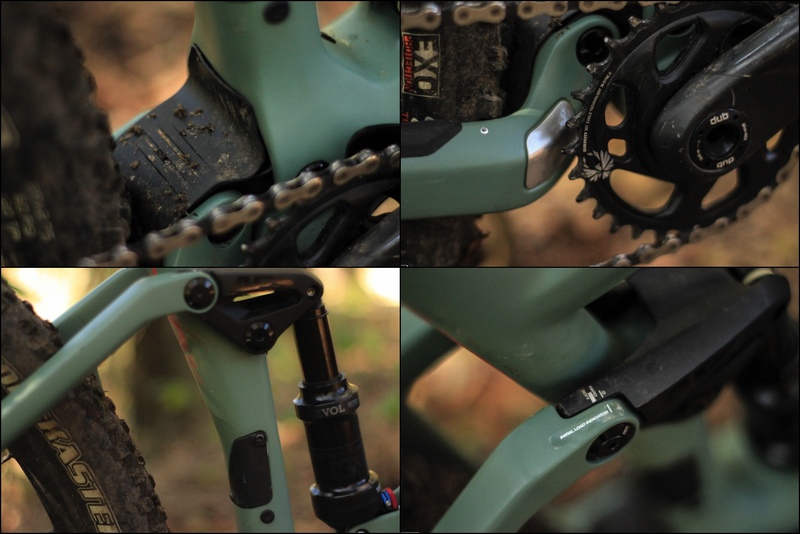 Our rear derailleur may have a bit more play in it than the the XX1 tier, but it does its job nonetheless while providing crisp shifts and a huge amount of range in a much more simple setup than a 2X drivetrain would, though the Speedfox is equipped with a front derailleur mount if you so choose. The DT Swiss XM 1501 Spline ONE 30, Centerlock wheels held their own, staying true, and stiff throughout our time on the bike. Tubeless rimstrips come ready to go on the bike, as well as valves, making setup easy. The DT Swiss Hubs had a moderate sound, not to loud, yet not too quiet, and featured great engagement. 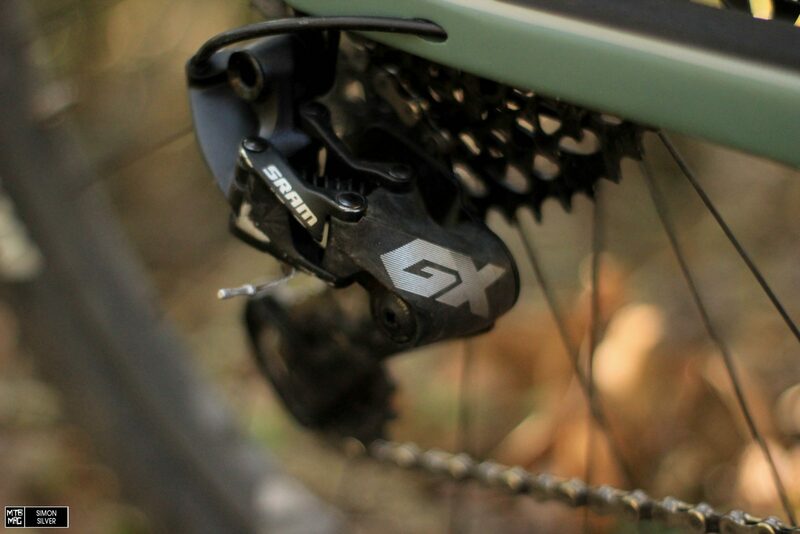 The Shimano XT brakes held their own for the duration of the review. 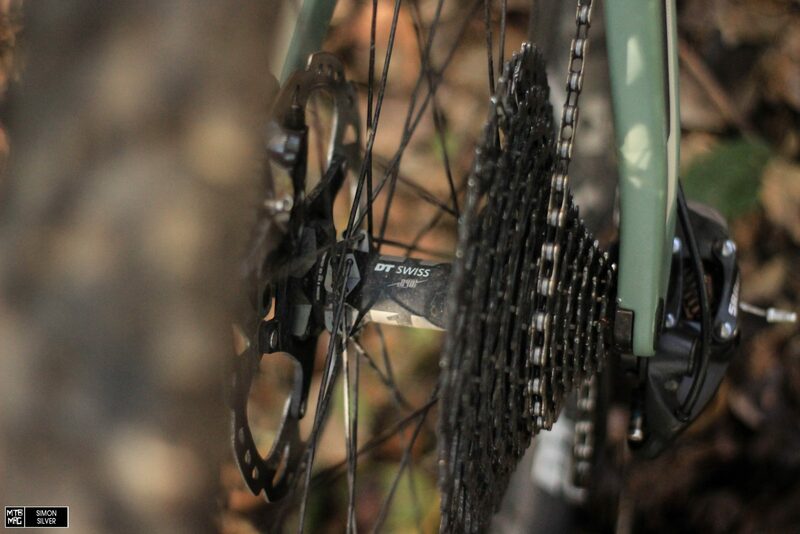 Paired with the stock centerlock 180mm rotors, we found plenty of power, and good modulation. Coming from SRAM Guide brake levers, it took a bit to get used to the Shimano feel, but we’ve grown to like it, especially the textured lever feel. The RockShox Pike RC is a proven fork, it suits the bike and we’d imagine for most riders it will handle the terrain thrown its way. That being said, due to its 130mm of travel, it felt like some could benefit from 140mm on the bigger jumps and square-edge front wheel hits. 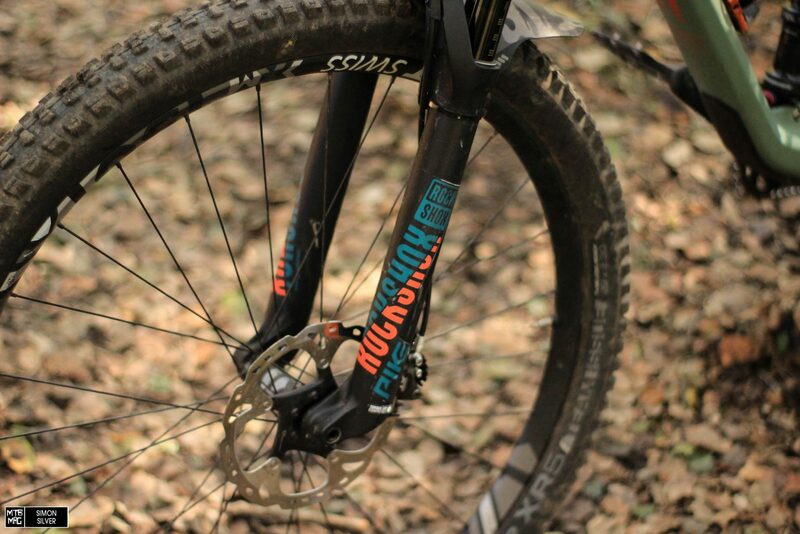 The Fox Float DPS, Performance Elite, Evol shock held its own for having just 120mm of travel. On massive hits the shock bottomed out fairly easily, and with a small air can there is not much room for more pressure or volume spacers. The frame design carries a sleek and elegant profile, and has subtle intricacies such as the well placed downtube and chainstay guards, sag meter, and a mudflap that hides all the cables between the rear triangle and the main frame and keeps the bearings clean. The linkage bolts do feature small 4mm heads, which on a pivot feels a bit small and fragile, but to keep the weight down is understandable. The Maxxis Forecaster tires come from the XC realm, and we swapped the front tire to a Bontrager 2.3 XR5. 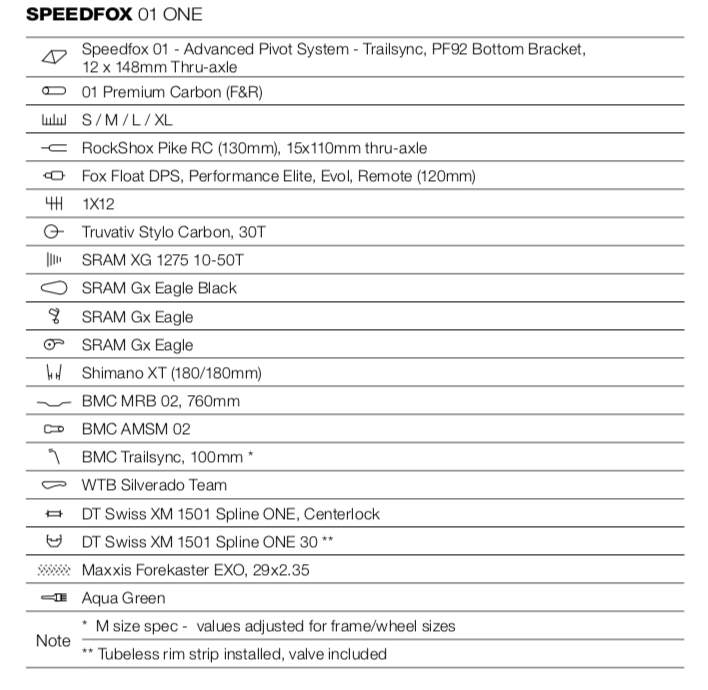 In regards to geometry the Speedfox features angles that fall in between an XC category and what we’d consider a bread and butter trail bike category. BMC also make the lighter duty, XC oriented Fourstroke, which our European editor recently tested. Anyhow, the Speedfox is essentially a light trail version of the Fourstroke. The relatively steep seat tube angle caters makes the bike very capable of punching up steep climbs and leaves you in a good position overall for the long grinding climbs. A 430mm reach is pretty standard for a bike this size and travel, again it falls in the middle ground and feels just right. The Speedfox climbs like a mountain goat, the bike’s very agile, and continues to make friends on more ‘enduro’ style bikes envious during ascents. The 29″ wheels provide lots of contact with the trail, and the ‘APS’ Suspension design does well at isolating the pedal input, helping keep the bike move forward, and not wasting energy into the suspension. BMC’s suspension design “Relies on two very short links, moving in a concentric motion, to create a rear wheel axle path that promotes a perfect balance of leverage ratio, fully-active braking performance, pedal kickback and efficiency, and small bump sensitivity.” We’d say the bike embodies those characteristics, though at times small bump sensitivity felt a bit stiff. The Speedfox felt just comfortable enough in the air to hit all the features we’d normally encounter, though we certainly weren’t sending huge gaps, or throwing the same style we’d be able to achieve on a more aggressive bike. The lowest seat height we could achieve with the Trailsync system while still allowing proper height for climbing was a bit too tall to get over the bike as easily in the air, and on the steeps. Obviously for a bike that is marketed as a ‘quiver-killer’ we expect it to do everything, but because of that, the bike is less likely to feel like it excels in one particular area, as the geometry and design is geared toward a broad spectrum of trails. 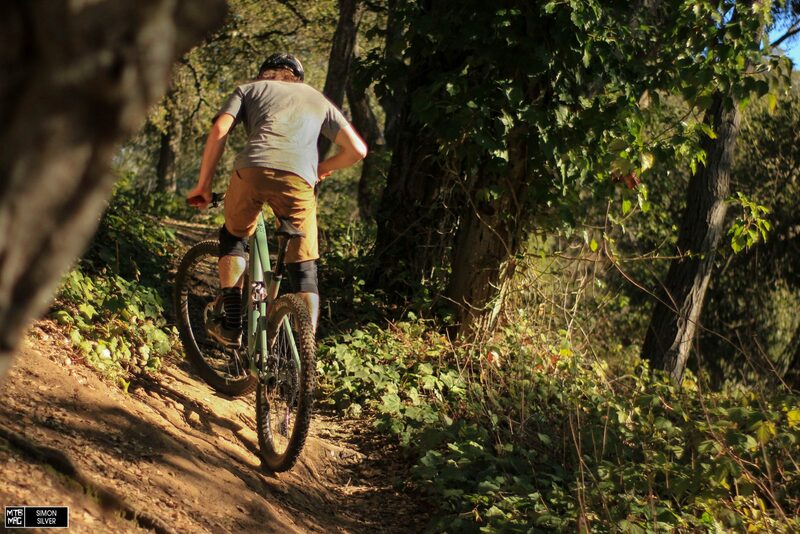 Over high speed terrain and rocky sections the Speedfox certainly feels more skittish and not quite as confidence inspiring as longer travel bikes, but if you pick smart lines and stay light, it won’t slow you down. 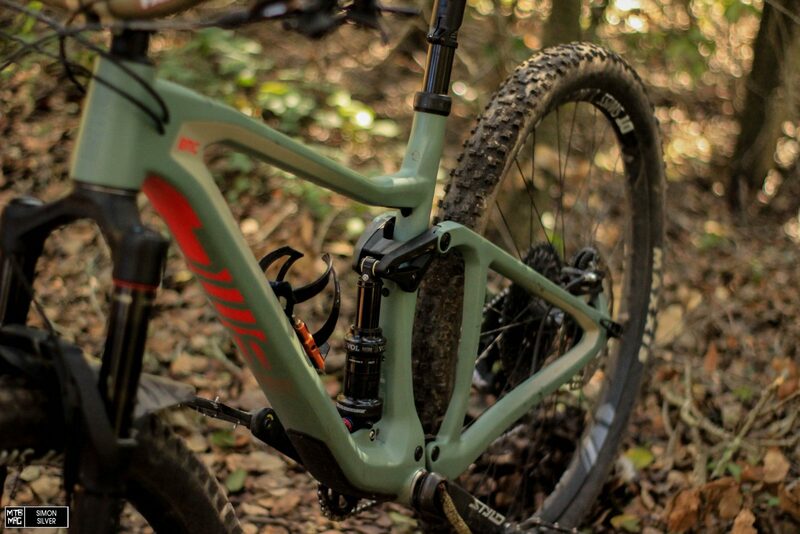 The reality is that we’ve been riding this bike on the same steep and technical trails, and at the same speeds as prior bike tests that featured up to 160mm of travel, and much more aggressive geometry. When you factor that into the way that the Speedfox performed, it’s quite impressive that we were able to feel as at home on the bike as we did, and maintain the ability to ride hard on the short travel, 29″ rocket. 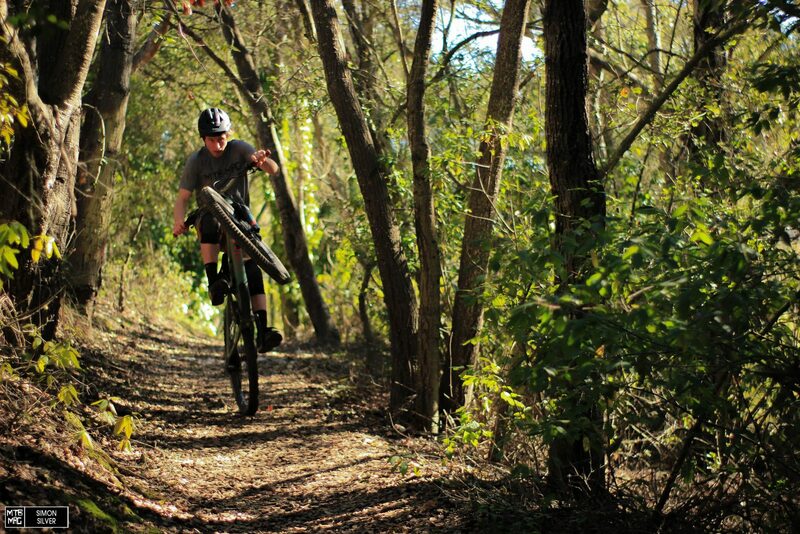 If you’re looking for a light, stiff, efficient 29″ do-it-all bike, the Speedfox may be a good option consider. A parte l angolo sterzo un po piu aperto e per un cm in piu di corsa nelle sospensioni , per il resto e veramente molto molto simile alla mia Agonist . Non capisco il senso d averle cosi tanto assimilate ….almeno sulla carta .